Over the decades, the Boy Scouts of America has been a leader in developing training and policies designed to keep young people safe. Over time, these policies have become standard with organizations across the nation. 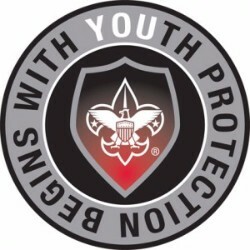 Now, the Boy Scouts of America is releasing fully updated training to further strengthen our ability to protect youth. You find the new training in the same spot as before just visit https://my.scouting.org/ and follow the youth protection images and prompts. Updated Youth Protection Training, including insights from experts and survivors and the latest strategies for recognizing and preventing major forms of abuse. This is the designated Youth Protection Training for all adults. All volunteers must take the new training by October 1, 2018, no matter when they took the previous training. An expanded ScoutsFirst Helpline to aid volunteers and families in addressing potentially dangerous situations. Unlimited counseling and support for healing to anyone who has ever been abused in Scouting. Youth Protection Training for youth members available in 2019. As of January 1, 2018, no new leader can be registered without first completing youth protection training. As of January 1, 2018, no council, regional, or national leader will be allowed to renew their registration if they are not current on their Youth Protection. As of September 1, 2017, no unit may re-charter without all leaders being current on their Youth Protection Training. Registrars no longer have the ability to approve charters without full compliance. Effective June 1, 2018, adults accompanying a Scouting unit who are present at the activity for 72 total hours or more must be registered as a leader, including completion of a criminal background check and Youth Protection Training. The 72 hours need not be consecutive. The Oct 1 training deadline will be a challenge for some – but the safety of our children is too important to delay.